OOTA writers are invited to Lament: Poetry and Music at the Raft Gallery. Poets Featured are: Tineke Van der Eecken Kevin Gillam, Sandie Walker, Shane McCauley and MC Terry Farrell. 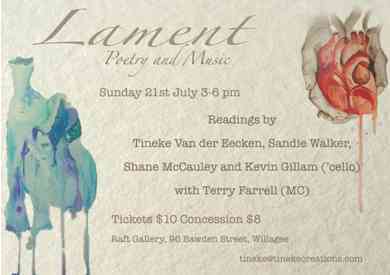 See full invitation at EVENTS under LAMENT INVITE and download.